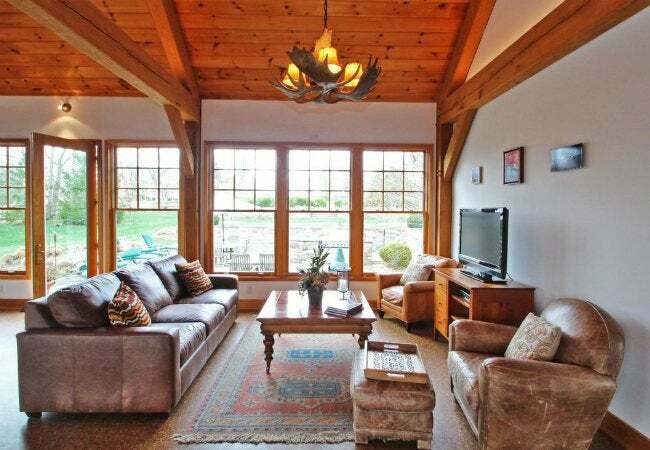 Consider this stunning surface to give you place a palatial touch! If you’re in the market for durable, low-maintenance flooring in a basement, on a patio, or anywhere else you have a concrete substrate, but you refuse to sacrifice style, take a closer look at terrazzo floors. A base of cement flecked with bits of aggregate, terrazzo is similar in appearance to polished marble or granite while allowing enormous versatility when it comes to incorporating design elements into the surface itself. Though common in schools, government buildings, and hospitals, terrazzo is gaining popularity for residential applications, so read on to learn the pros and cons to decide if it’s right for your home. Originating in the Mediterranean region several hundred years ago, terrazzo—which means “terrace” in Italian—was made by pressing stone chips into the surface of natural clay and then sealing it with goat’s milk for mosaic-like appeal. Eventually, cement replaced clay, and bits of glass and painted tile found their way into the surface of this ornate flooring. Modern-day terrazzo includes polymers, resin, and epoxy that improve the texture, reducing cracking and increasing durability. And the goat’s milk? Gone! Today’s terrazzo is solid, dense, and impenetrable, requiring no surface sealant, though polishing and buffing will bring out and maintain its lustrous gleam. Terrazzo floors are nothing short of stunning, as bits of shiny aggregate catch the light and create a shimmering effect. 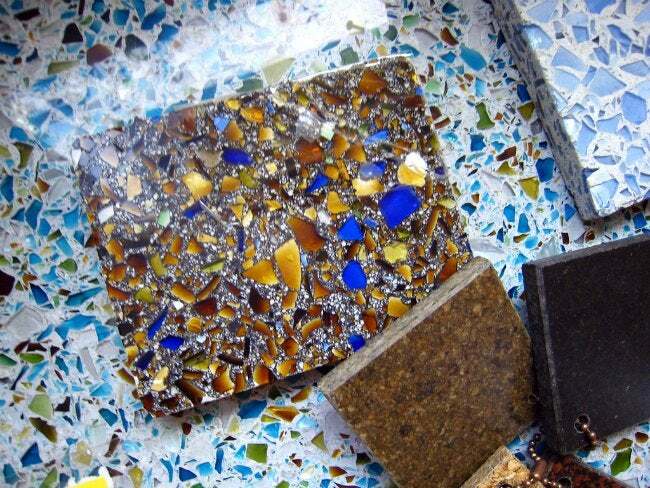 Natural stone chips, such as marble, granite, and quartz, are top choices for a terrazzo finish, but other types of aggregate are also used, including glass pebbles, synthetic chips, and silica bits in an endless array of colors. Experienced installers can create intricate designs, turning ordinary walkways into works of art. Terrazzo is durable and resilient, and its non-porous nature discourages both staining and bacterial absorption, so it’s a top choice for high traffic areas. Installing terrazzo floors is strictly a job for the pros, and it’s labor intensive, which means it’s one of the most expensive types of flooring around. A standard floor, with minimal geometric patterns, can run from $10 to $23 per square foot and the cost can go higher if you want intricately inlaid designs. Terrazzo also tends to be slippery when wet—or when dry, if you’re wearing stockings. Taking a fall on terrazzo floors feels like going down on a concrete sidewalk, so homes with small children or elderly residents might be better off with a different flooring choice. • Existing flooring is removed and the concrete surface is roughed-up to ensure proper adherence of the terrazzo mixture. Cracks are filled, and if the substrate isn’t flat, a leveling compound will be applied. • If you’ve chosen a design, the pattern will be transferred to the substrate using metal strips to separate and outline each section. • A sandy cement base is applied next, and while it’s still wet, the terrazzo mixture is spread on top and leveled out, one section at a time. Extra bits of aggregate may be sprinkled on top and smoothed into the surface. • As the mixture begins to harden, a heavy roller is used to compress and flatten the surface. • Once all sections have been filled and the terrazzo mixture has completely cured (taking a minimum of 48 hours), a large grinder is used to smooth the top. It’s a dusty process involving stone and cement being ground into powder, so the rest of your home should be properly sealed to keep dust from seeping under doorways. • A pigmented slurry is spread to fill tiny pinholes in the surface and then the excess is wiped away. 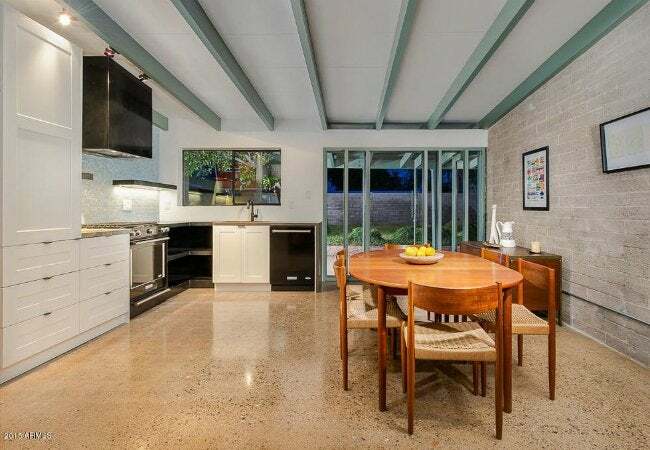 • The terrazzo surface is then brought to a gleaming shine with a powered polisher that uses very fine diamond-grit pads to give the floor a glass-smooth finish and bring out the full color and sparkle. When it’s done, you’ll be able to see your own reflection in the floor! Once the installation of terrazzo floors is finished, the surfaces are virtually maintenance-free. Following these few good cleaning practices, though, it’ll keep its like-new glossiness for years. • Use a large dust mop to remove surface dust on a daily basis. • Wipe up liquid spills promptly. • Wet mop when necessary to remove tracked-in footprints, household germs, and grime buildup using a floor cleaning solution designed for stone floors. • If maintaining a mirror finish is important, you can use a powered walk-behind buffer/polisher every few weeks or so, available from DIY stores, and online, starting around $150 and going up from there, depending brand and power. These buffers use spinning pads to polish the terrazzo surface to a high shine. Alternately, you can rent a heavy-duty buffer/polisher from some construction rental stores for around $35 to $55 per day. 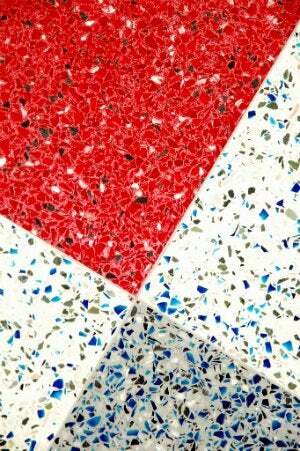 • Avoid using solvent-based cleaners or sealers that can dull terrazzo’s polished surface. With care, your terrazzo flooring will last for generations, but over time, tracked-in abrasive sand can dull the surface in high-traffic areas. If it gets to the point where a buffing machine fails to completely restore the shine, you can have the floors refinished. This involves professional re-grinding and polishing at an estimated cost of between $3 to $7 per square foot. Refinished terrazzo floors will shine as brightly as they did when they were brand new!